I’ve always liked the Tomb Raider games. Sure there were a couple that were definitely sub-par, but since the beginning I’ve played through each one. Just last year I was scrounging through my old PC game discs when I came across the original Tomb Raider. I thought about installing it and reliving some memories, but one quick sight of those wonderful 1996 graphics and I decided against it. Well luckily I can now play through the original game again only this time in our current gen graphics with Tomb Raider’s latest game called Tomb Raider: Anniversary. 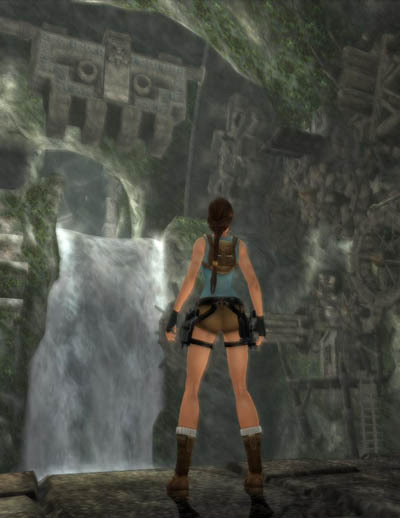 Tomb Raider: Anniversary (TRA) is a remake of the original game, though updated for today’s current gen expectations. 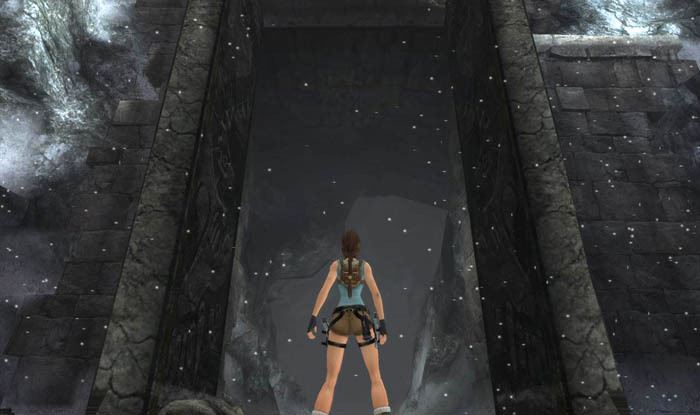 TRA plays pretty much exactly like the previous game, Tomb Raider: Legend. There’s a lot of climbing, hanging, jumping, falling, swinging, and all sorts of other acrobatic moves. And really that’s what I love best about the Tomb Raider games; the climbing or scaling aspect. Hanging from a ledge 1,000 feet up by your fingertips, hoping that you can jump and clear the gap to the next ledge only to realize that maybe this is the wrong way. And TRA does this wonderfully. Sure it can get frustrating when you can’t quite clear a gap and end up falling to your death a dozen times. But when you do finally do make it, there’s nothing more satisfying. The gun-play in this game is the same as before, and really, the same as it’s always been. You can lock onto enemies and then run and gun to stop your opponent in their tracks (be that rat, wolf, bear, raptor, gorilla, lion, mummy, or even T-Rex tracks). But TRA did introduce a new type of gun-play element called Adrenaline Dodge. With Adrenaline Dodge you shoot at your enemy until they become enraged. When that happens, they’ll charge you at which point you can go into the slow motion (adrenaline) dodge. While doing this you can lock you gun sights on the enemy’s head and perform a head shot. 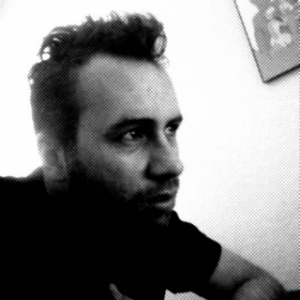 It sounds complicated but once you figure out how to do it, it becomes pretty simple. It took me awhile to figure it out, but you’ll want to learn how to do it quickly because performing Adrenaline Dodges is required to defeat certain bosses. Like I mentioned above, TRA is a remake of the original Tomb Raider game. The original story is back, along with your favorite levels, enemies, and weapons. But of course everything has been upgraded. The levels are now more in depth and require a lot more puzzle solving to complete them. But your favorite places and scenes are still there, like the entrance to the Peru tomb at the beginning of the game, or the Lost Vally with the T-Rex, or the ancient underground Colosseum from Greece. Witnessing those sights again was great. As far as the game’s graphics and sounds go, they’re top notch. The graphics are great and really help to make those far away, lost tombs seem much more lush and realistic. The game shows off certain effects like depth of field view, where certain items at different lengths may seem blurry, or HDR, where bright areas are really bright and shiny in the game and almost give off a glow effect. And of course, Lara looks great (graphically speaking of course *ehem*). And she looks even better when she climbs out of the water and is all wet and drippy (*ehem* graphically speaking of course *ehem*). TRA also introduces commentary to levels. Similar to Valve’s commentary in their Half-Life 2 games, players can replay through levels and stop to hear commentary from the game’s developers. I loved it in Half-Life 2: Episode Two and I love it in TRA. I really enjoy hearing the thoughts of the developers as they created the game. It seems to be a great trend that’s catching on. In the end Tomb Raider: Anniversary is a damn good game and one of the best in the series thus far. If you’re a Tomb Raider fan then I definitely recommend this game. We all know the series went through a dark time with Chronicles and Angel of Darkness that both left a bad taste in our mouths, but the series is back and rocking – starting with Tomb Raider: Legend and now with Tomb Raider: Anniversary.